I hoped but did not expect my open letter to reach Gervase Chaney’s desk. I certainly didn’t expect over 1000 Facebook shares in its first 36 hours. As the response grew bigger I was at the hospital with Bede and I started thinking about taking it down and I didn’t expect other parents to ask me not to. I certainly didn’t expect the influx of messages, emails, comments and approaches of so many other mothers thanking me for using my voice. I didn’t expect the regret from people who had been through this and had not used theirs. I didn’t expect the level of emotion behind those responses. I didn’t expect the advances of media. I certainly didn’t realize just how many of you have Bede’s back. I think the hospital is empowered in a lot of ways and sometimes that is a negative, petty and bureaucratic power. I think Bede’s power is in the mass amounts of love he can generate and mobilise. I think that is a strong, refreshing and positive power that cannot be underestimated. I think that power is testament to his light. In all the reactions I have had I had negative feedback from about 4 people. I am all about honesty and accountability and context. My reactions in the letter did happen. I was desperate and I did raise my voice and I know some staff did not like that but there was context to them. My letter provided that context. The letter was aimed at a bureaucratic decision that removed reactions from their context. Towards the end of the meeting Dr Chaney told us he would aim to review the decision within 24 hours. Nothing was going to have changed in that time. We sensed he knew the decision was wrong but that he was standing by it anyway. Whether we were right in sensing that or not the decision was petty and bureaucratic and it was unforgiving punishment toward a family who have tolerated and forgiven so much. The letter was context. We are not threatening people. Now let me give you the context in which some of these incidences have occurred. They occurred in a big picture. One that also includes the nurse who I thank repeatedly every shift because I feel when she is on I am off duty and know Bede is in the best hands possible. The nurse who must be the only other person in the world who can sense something is wrong with Bede before I can. The nurse that sat with Bede after her shift had ended while we were in a meeting because it was an important day for our family. The doctor who said we could call her anytime over the weekend while she was off duty because I was so scared without her advice I wouldn’t know what to do. The same doctor who is so giving of her time and energies not just to Bede but also to our family. The nurse who makes sure she talks to Bede while she is treating him. The nurses that head into Bede’s room on their way to tea break to squeeze in a quick cuddle. The nurse who bakes nearly every shift and then SHARES it. The doctor who in the middle of a Bede emergency made sure I got a juice to help stop my shaking. The specialist who drove from Fremantle to Subiaco at 7:30 at night because he wanted someone who knew Bede to review him. The nurse who rubbed my back and encouraged me on when no one would listen. I think the word ‘mistake’ is too generous for the incidences I detail in my open letter and there are many more of them. There is also a lot of good staff. I think I acknowledged that in the letter. A lot of those staff are also outraged when these things happen. I certainly do not want to be the person that “paints them into a box” as one criticism said. Our voice empowers our family but it is not a petty unfair empowerment. It is an honest, true and positive power. The letter is true. It was never meant as a criticism of the nurses or individual doctors. It provided context for a petty bureaucratic system and a petty bureaucratic decision that robbed my boys of precious home time together. Although I am sure Dr Chaney does not need nor desire a disenchanted mother coming to his defence he seems like a nice man. He is a doctor for sick children, a father. He allowed us to say our piece in the meeting even if we did feel as though it fell on deaf ears. I asked Dr Chaney if given the exceptional circumstances and lapses if he could say he would have acted any differently and he admitted that he could not. This is not about a witch hunt. My letter was addressed to him because he represented the system that day and although he seems to lead it he is only one part of it. The treatment that we required HITH for has finished. We still seek some reassurance that that service will be available to Bede in the future and have none. Despite Dr Chaney assuring us in the meeting that he would attempt to have his grounds for refusing us this service in writing and provided to us within 24 hours and also that he would provide us with details regarding any documented incident within the last 6 weeks, the main period for which he was making his decision, none of this has happened. We have not heard from PMH in regards to this matter. Ultimately Bede is still not availed of HITH. At the end of the letter I said that was a one off post, that Roy and I felt the need to speak out about Bede’s reality but I am posting this today because I do not want to be the person that uses their power in a negative way. That is not and has never been what Bede or our family are about. This is who it is all about. Bede helped us decorate the tree last night. A proper Bede update will follow later today or early tomorrow. He is doing well. He is shining, he is developing, he is irrepressible and our love and pride run deep. This entry was tagged baby bede, bede, Gervase Chaney, he may be small but he is mighty, Health, light, love, Nursing, PMH, Princess Margaret Hospital, Princess Margaret Hospital for Children, resilience, team bede, teambede, the mighty bede. Bookmark the permalink. I applaud you and your family and your letter. I too, although not in the same shoes as you, have experienced this system myself. Albeit in another state. I have tried countless times to be heard, most often to no avail. You are correct, there are some beautiful caring docs and nurses…..but there are too many breaks in the ‘chain’ and not enough listening. Your speaking out as advocate for your precious Bede and your whole family’s rights is an amazing and truly inspiring act. As I said, I applaud you. Beautifully written piece. Bede has the support of everyone he has touched physicay or emotionally. Lots of love! Thank you for being a voice for so many stuck in this system. Especially those who have no voices to stand up for themselves. Your words, as always, are the perfect voice for your shining son. You have always done the best you can in an impossible situation. You are your son’s most powerful advocate. Never give up fighting for what he needs and what is best for your family. No one should criticise until they have walked a mile in your shoes and no one would ever choose to do that . You are amazing, courageous and brave! So eloquently put and beautifully delivered. I find myself constantly in awe and admiration of how despite negativity, despite the distorted and selfish views of some, you both proceed with such honesty and grace. Always in Bede’s best interest, always in his truth. You are wonderful parents, your advocations vital, necessary and justified. I find it difficult to understand how two loving parents who have sought adequate care for their son can be penalised. If only PMH could see this contradiction and express some sort of accountability. I believe you deserve more, you deserve valid reasoning for their decision. Bede deserves this service. He deserves the assurance of having his first Christmas at home with his family, with love, smiles and giggles. I hope PMH can see the effect this decision may have on his well being. 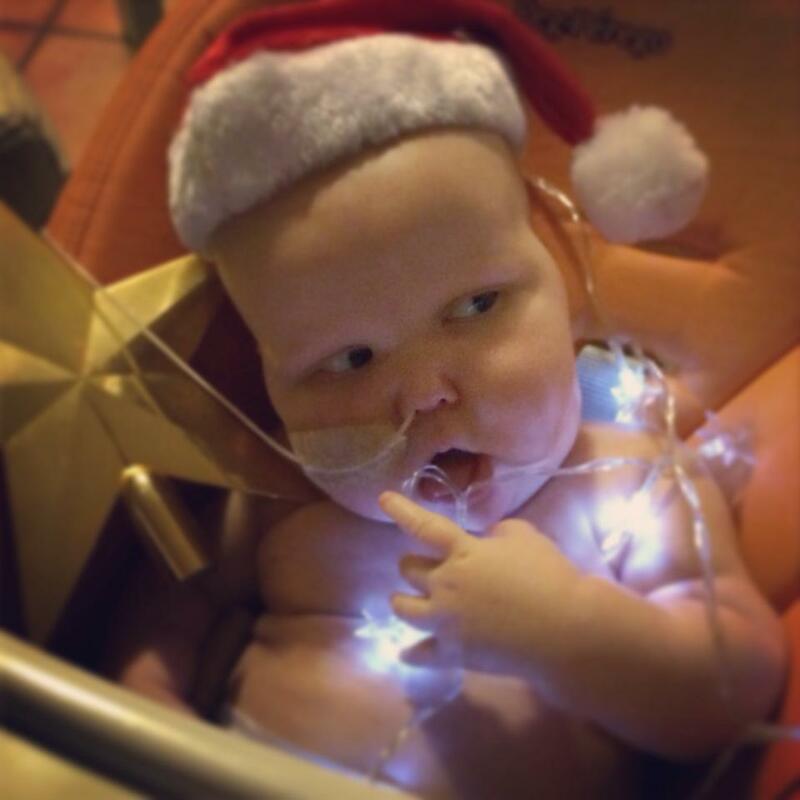 Come on PMH – less grinch and more good will. There will always be those who take things out of context, thank goodness there will always be doctors and nurses who care not just treat and thank god there will always be Bede.